The recently launched Samsung Galaxy Note 9, which is priced upwards of a thousand dollars, reportedly has a peculiar problem. Some users have reported that the light seems to be leaking out from the left side of the display through gaps in the chassis, resulting in a very annoying experience. Keep in mind that the Note 9 is a productivity-oriented phone, and distractions like these are sure to put people off. The Note 9 has a curved OLED display like the rest of Samsung high-end phones. The 6.4-inch screen with a resolution of 2,960 x 1,440 pixels is one of the displays on the market in the mobile device at this stage. 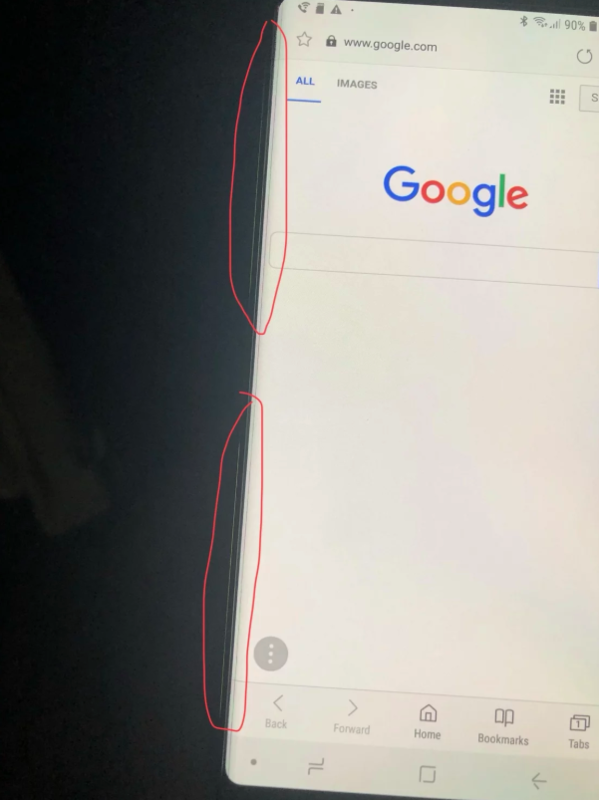 According to an online forum post at Android Central, the light from the screen is leaking through a gap between the panel and aluminium frame on the left side of the flagship. The same issue has been reported by some Galaxy Note 8 and Galaxy S9 users as well. 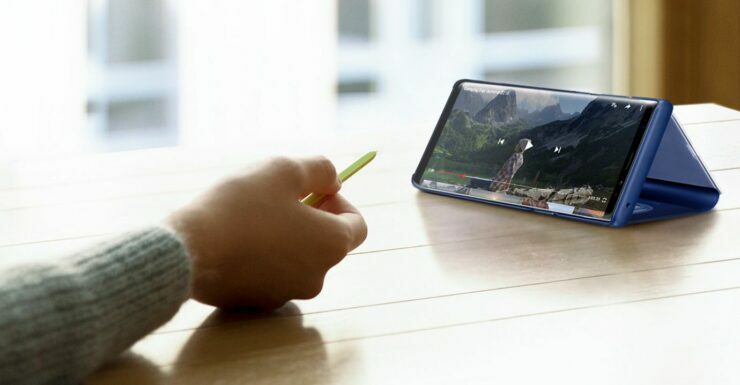 However, the problem might not be as serious as it sounds as some Galaxy Note 9 users think that what has been mistaken as a light leak is actually an illusion which appears because of the curved glass and reflections from inside the screen. Moreover, to perfect that iconic rounded shape, the edge of the glass panels are painted by Samsung and the amount of paint applied varies with each device so some devices may exhibit a slight light reflection. Fitting a curved piece of glass into a phone body is no easy feat and Samsung might have been a little hasty with the first batch of the phones which could have caused it to miss this issue related with light pigments. Again, this opinion is coming from the other forum members and may or may not end up being true. Since the issue seems to have stemmed because of the way phones are painted, not all units have it. According to the forum post, Samsung is currently investigating the problem and is expected to comment on what has transpired soon.